When rumors circulated a week ago that Warner Bros. had issued a mandate of sorts that its DC films would be free of jokes, many fans of Superman, Batman, and the gang feared that future films from the studio wouldn’t be the barrel of laughs and neck-snapping fun that we enjoyed in Man of Steel. 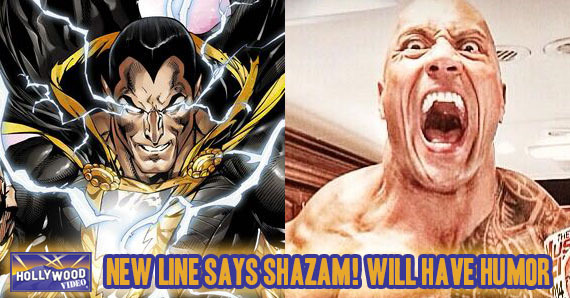 However, with the news that Dwayne “The Rock” Johnson will portray the antihero Black Adam in the upcoming Shazam film, New Line President Toby Emmerich has indicated to Entertainment Weekly that the movie about the boy with the magic word will be anything but somber and joyless. Emmerich discussed what little he could about the film, as the movie is still being written and a release date hasn’t been set in stone. However, he did address The Rock’s role as Billy Batson/Shazam adversary Black Adam and the tonal feeling that New Line hopes to bring to the, ahem, (Captain) Marvel Universe. 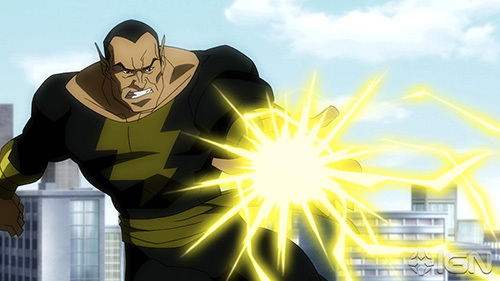 Emmerich’s mention of The Rock’s “compelling and fun” take on Black Adam was very telling. Fans of Marvel Studios’ Avengers family of films will almost unanimously tell you that Loki is one of the biggest draws and largest font of fun in those movies. The Rock has shown such affection and enthusiasm for the DC stable of characters, as well as played roles in both action and comedic films, that I truly think he can pull off the sometimes-snide, sometimes-sinister powerhouse that is Black Adam. He has the potential to bring the same sort of fun that Tom Hiddleston brought to the role of Loki. The central point that I honed in on from Emmerich’s comments, however, was his delineation between the Justice League film and the upcoming Shazam film in terms of tone. Though it could just be an offhand comment to assure fans that we won’t be subjected to an emo Billy Batson, I wonder if the two movies will be part of a shared universe or if Warner Bros. will keep Shazam and company sequestered from Batman and his dour gang of do-gooders. And if they are part of a shared universe, how will the relatively sunny disposition of Billy Batson’s Shazam clash onscreen with the Justice League? Regardless, we will know relatively soon enough, as Shazam is presumably one of the DC films that WB announced for the next six years. This entry was posted in The HV Blog and tagged comic book movies, DC, dwayne johnson, New Line, shazam by jedkeith. Bookmark the permalink.